And it’s not hard to see why. I mean, WordPress is a blogging platform, right? And a membership site doesn’t have that much in common with a standard blog. Even though I’m sure Matt Mullenweg was not thinking about membership sites when he first created WordPress, the platform has evolved quite a bit, and now allows you to do pretty much anything with it. The rule of thumb is this: if a project is online-based, it can be run on WordPress. Membership sites included. 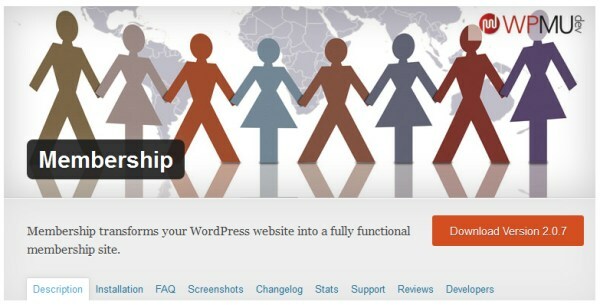 So here’s how to actually launch a membership site on WordPress. But just to make things interesting, let’s start with the bad and the ugly method. There’s a piece of built-in functionality in WordPress that allows you to password protect any given post. Essentially, this is all you need in order to have yourself a membership site. You just password protect your premium content, and then send the password to your subscribers. I don’t even want to get into the downsides of this approach, so let me cut the discussion short. If you want to be professional about your membership site and offer your customers with something special then this is not the approach for you. Period. I’m sure this won’t be a surprise for you, but we’re going to launch a membership site by using some cool plugins. 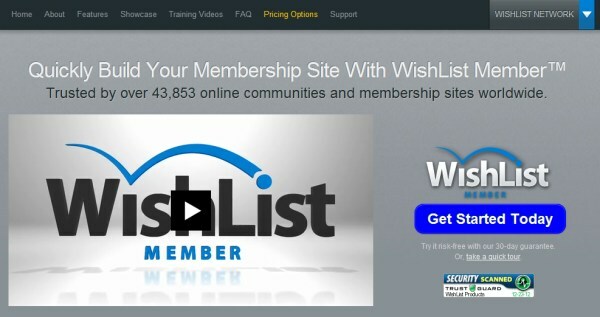 One of the most popular membership site plugins available. However, to call it a plugin is a big understatement. It’s actually a complete membership site solution that offers a load of features. It’s not free, though. The single site license is $97, multisite is $297. Unlimited membership levels. Your users can be assigned to “silver,” “gold,” or any other package. That also means that you get to charge them accordingly. Free, trial, or paid memberships. Each membership level gets its unique content, not visible to other levels. Shopping cart integration. You can bill your customers through PayPal, ClickBank, and other platforms. You get a customer management dashboard where you can view each member and change their settings. Teaser content support. This means that you can make a portion of your content visible to the public and follow it by a subscription link (if someone wants to see the whole thing). Email newsletters integration. The platform allows you to connect your site with MailChimp, AWeber, and other services. Don’t worry, not every sensible membership site solution is a paid one. This plugin is completely free (even though the WPMU team offers a premium version as well). MagicMembers – Prices start at $97. However, if I were to point out just one solution, it would have to be the plugin by the WPMU team – Membership. The main reason is that it’s free, and also because it provides all the basic stuff, which is more than enough for probably 90% of new membership sites. What’s your take on this? Have you ever tried launching a membership site on WordPress?